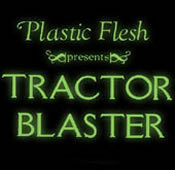 Five wholesome, nutritious tracks, presented as the first square meal from Metem's newest chef: plastic flesh. Cooked entirely on a gameboy, this EP contains high sodium and cholesterol content, with little to no vitamins or minerals. Side effects include: heart burn, dizziness, migraines, increased heart rate, loss of depth perception, and a tingling sensation in toes.